I'm popping in with a friendly Halloween 'Hello'. 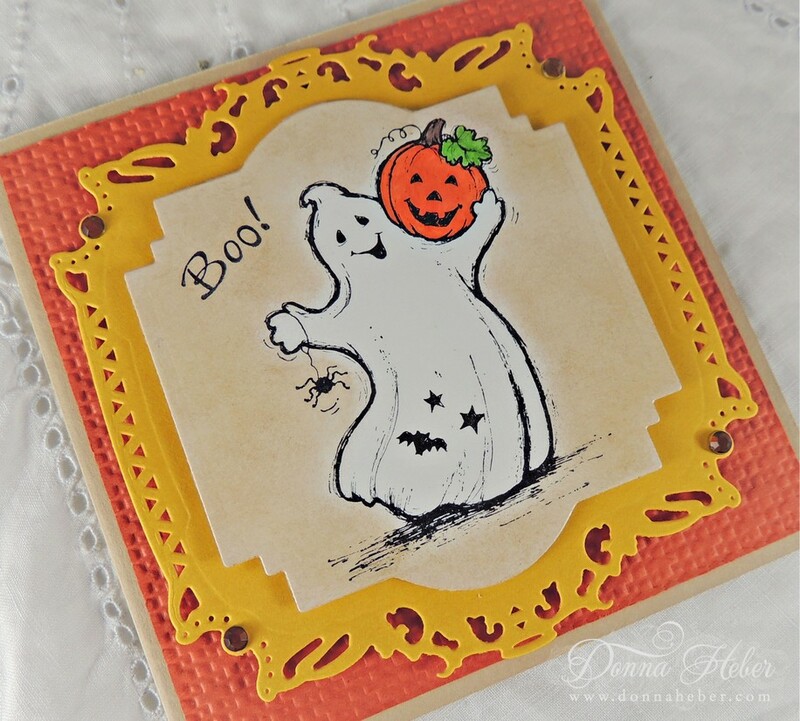 No tricks here - just treats! I hope you are having a day filled with fun. Today I'm sharing a cute ghost card using an image from Serendipity Stamps. To create the background, I used a Textured Impressions Square Lattice Embossing Folder with Dusty Durango paper and ran it through the Big Shot. It was then mounted to a latte card. The top two layers were cut using the Spellbinders Decorative Labels Twenty-Two and Labels Twenty Two. The perfect size for this square card. The images were stamped in StazOn Black ink on a piece of glossy white paper. The pumpkin was colored with markers and I lightly sponged Brilliance Pearlescent Beige ink around the ghost. Kaiser bronze rhinestones were added to each corner. 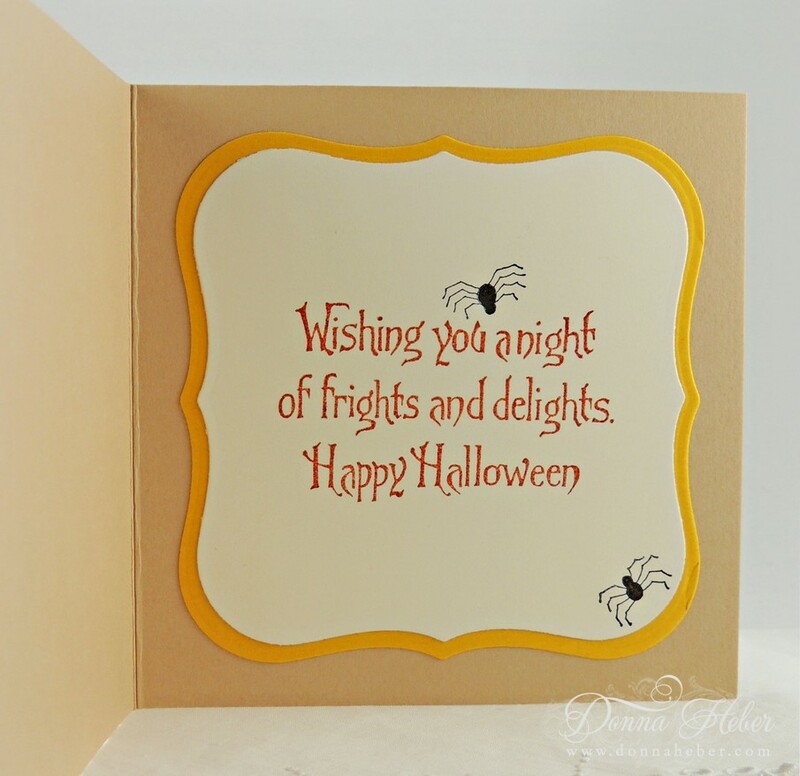 The inside Halloween greeting was stamped in Dusty Durango and embossed with clear embossing powder. 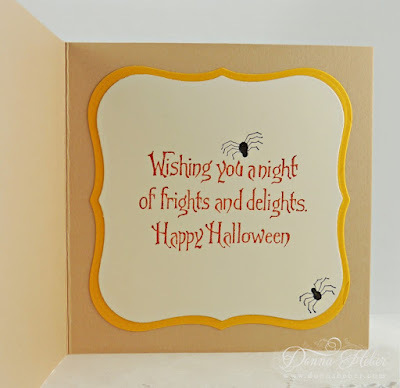 A few spiders were stamped and accented with a black Spica pen. I'm hoping to see some 'Treaters' this year. Unfortunately, last year no one came to our home. Thanks so much for stopping to visit with me today. 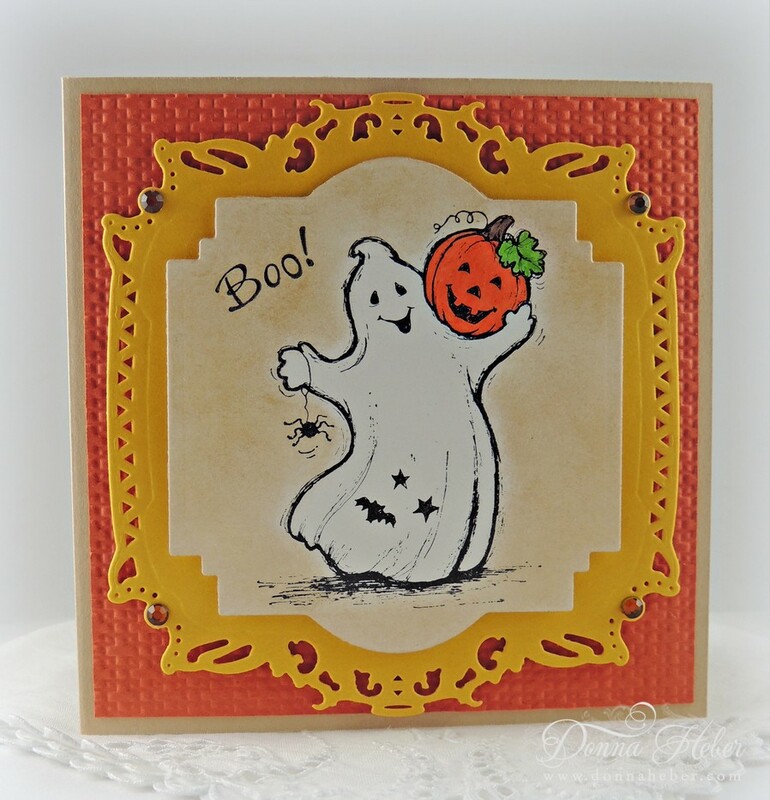 Card Size: 4 1/2" x 4 1/2"
How cute and lovely!Happy Halloween! How cute is that! Love the details. Such a beautiful and cute card, love the image and the dies, I hope you had visitors to your door, we had 2 little girls! but then we don't have many usually here in the UK.